Can sinus infection cause tinnitus? I often get asked by folks that visit me in the pharmacy, whether it is possible for someone to get tinnitus(ringing in the ears) as a result of a sinus infection. I think before I answer this question, allow me to explain to you a little about our sinuses. What exactly is the sinuses? What purpose do they serve? How do you get sinusitis? Can sinus infection cause tinnitus? read further on to find out these answers. Okay, we all know that the nose is the organ of smell and is the main passageway for air in and out of the lungs. Its purpose is to warm, moisten and clean the air before it enters the lungs. It is the bones of the face around the nose that contain hollow spaces which are called paranasal sinuses. There are four main groups of paranasal sinuses : the maxillary, ethmoid, frontal and sphenoid sinuses. What is the purpose of the Sinuses? The sinuses, helps to reduce the weight of the facial bones, while maintaining bone strength and shape. The air filled spaces of the nose and sinuses also adds resonance to the voice. The sinuses just like the nasal cavity has mucous membrane lining. This lining has cells which secretes the mucus and tiny hair structures called cilia. Incoming dirt particles are trapped by the mucus, then are moved by the cilia into the nasal cavity via small sinus outlets or openings called Ostia. It is from here, that by us either sneezing or blowing our nose, these particles then exit the nose. Therefore any blockage of these tiny openings causes a condition called Sinusitis(or sinus infection). Basically sinusitis is an inflammation of the sinuses. This inflammation can be caused by an allergy or an infection. Can be short-term or long-term. If you are prone to colds or flu, or even to allergy attacks, chances are that you can get nasal congestion. 1.Initally you get infected with a cold which is a viral infection of the upper airways. 2. During a cold, the swollen mucous membranes of the nasal cavity (blocks the tiny openings of the sinuses. As a result drainage of the sinuses is blocked. 3.The air that once filled the sinuses, is now absorbed within the blood stream, causing the pressure to decrease in the sinuses. This decreased pressure causes pain and fluid to enter it. 4.This fluid provides the ideal breeding ground for bacterial growth. 5. To combat this bacteria, the body starts producing defence cells, called White Blood Cells(WBC). Along with entry of these WBC’s, there is also more fluid that enters the sinuses causing the person to feel pain with increased pressure. 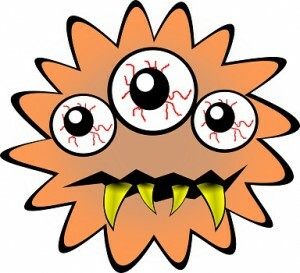 Besides viruses, allergies can also cause sinus infection. What are the common symptoms of a sinus infection? Tinnitus is defined as ringing, hissing, roaring or whistling noises. It is a symptom rather than a condition and can be caused by such things as exposure to loud noises, Meniere’s Disease, build-up of ear wax or even head injuires. There have been some reports of indviduals suffering from a type of tinnitus called Pulsatile Tinnitus(PT) as a result of sinus blockages. This is type of tinnitus, whereby a person hears his pulse beat in his ear/s. The Eustachian tube, helps to maintain equal air pressure on both sides of the ear-drum. It accomplishes this by allowing air from the outside to enter the middle ear. Now when there is a sinus congestion, you can get compression of the muscles around the ear. This can block the Eustachian Tube. As a result air cannot reach the middle ear, so the pressure there decreases. When the pressure is lower in the middle ear than in the ear canal, it causes the eardrum to bulge inward. The bulging of the ear-drum can cause pain and as a result, one may experience tinnitus symptoms. So yes, I think that sinus infection can very much cause Tinnitus. So, how can you treat Sinusitis? To have sinusitis is bad enough. To add tinnitus to the picture, makes it even more unpleasant. The main purpose of treatment should be aimed at improving the sinus drainage system and treating the infection. 1.Nasal Decongestant Sprays: These sprays contain Oxymetazoline or Phenylephrine. Their main purpose is to constrict the blood vessels. By doing this, they prevent congestion of fluid in the nasal cavities. The problem is that they cannot be used for longer than 5-7days. The reason is that if it is used longer, they cause “rebound nasal congestion.” This simply means that it makes the congestion worse. 2. Oral Decongestants : These preparations e,g. Actifed( Contain Pseudoephedrine and Tripolodine.) helps to reduce congestion without having to cause the “rebound” side effects. There are other side effects though and caution must be exercised in people who have high blood pressure. 3.Nasal Corticosteroid Sprays : Depending on the country that you reside in, certain nasal corticosteroid sprays can be bought over-the-counter at your local pharmacy. In my country, we sell Flonase( Fluticasone Propionate). The steroid sprays are great in a sense that they can be used longer that 5-7days.They help to reduce the inflammation of the mucous membranes. In fact, even in someone who is suffering from chronic sinusitis, can use the spray for a period of 6months or longer!! Dosage on this is usually one puff daily into each nostril. Oral anthistamines that contain any of these actives, Loratadine, Desloratadine, Cetirizine, Levocetrizine etc. help with treating the allergy. The new generation antihistamines help to treat the allergy and cause less sedative side effects as compared to the older generation anthistamines. They usually taken on a once-daily dose. Regular washing with saline water can help with the cleansing of the sinuses and maintain their moisture. One thing that I use regularly is the Neti-Pot. Initially it is a challenge to get used to. However as you do it regularly, it becomes part of your routine, and as easy as brushing your teeth. alleviates nasal dryness due to air travel. I will be doing a review of this product, so please do stop by again. In the meantime, I have placed a link to the Amazon store, should you be interested in reading reviews of this product. Oral humidifiers are great in that they help to moisten the air in the environment. This helps to settle the surrounding dirt and dust particles and prevent allergy symptoms. Just a word of caution though, be sure not to go out into the cold as you may be more prone to congestion later on. If none of the above helps in treating your sinusitis, then the next step would be for your doctor to order a CT Scan or MRI Scan, to be done on your sinuses. He may initiate Antibiotic treatment (Amoxicllin) along with a short course of Oral corticosteroids(Prednisone) depending on the severity of the infection. So can sinus infection cause Tinnitus? I most definitely think so. The great news is that, as you can see above, it can be treated using a number of different ways. Some people may not even get any tinnitus at all with sinusitis, whilst others can be more prone to getting it. Have you experienced getting tinnitus or ringing in the ears when your sinuses flare up, or when you get a cold? If so, what do you do to treat it? Thanks for reading and please do share or comment below. As always, I look forward to hearing from you. Sinuses have a great use of keeping foreign particles from fully entering the body. They filter out the bad stuff, no wonder they are susceptible to infection. It’s great that there are these many different types of treatments available for sinus issues. I know I am effected by allergens during the spring time. Yes the nasal passages and sinus cavities are the first line of defense to foreign particles,such as dust or pollen that enters our body. So their job, is tough in screening out the nasties and protecting us from allergies, hay fever and colds or viruses.As you mentioned, you are most affected during the springtime, so the load of the allergens is higher or more taxing for the sinuses to deal with. Happy New Year! I never knew that sinuses are actually responsible for so much – you learn something new every day! I would never have linked sinusitis with tinnitus either. My nan suffers from tinnitus and I notice that this time of year when she has a cold (which no doubt affects her sinuses, her hearing gets temporarily worse. Out of all the methods of treatment you suggest, which in your opinion is the most affective? I just would like to make it clear that NOT all sinusitis can lead to tinnitus. This would depend largely on the severity with which one has the sinus infection and how it is affecting him or her. It can very well cause tinnitus though. I think the treatment options for your Nan would also depend on how bad her sinuses are.To start off with, if her blood pressure is controlled I would recommend a decongestant nasal spray taken for 5-6days, along with an antihistamine-decongestant oral combination. If she prefers, a cortisone nasal spray can also do the trick instead of the latter spray and can be taken for a longer period of time. For maintenance purposes, I would recommend nasal cleansing or wash using saline solutions. 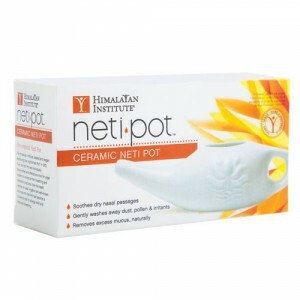 I have written more detail about the neti pot is helping with this, so do check it out. In addition, there are homeopathic or natural remedies, such as tissues salts or drops e.g Vogels Brand or Natura. These preparations take longer to work, but help to maintain the system in the long run. It is very important to take care of ourselves in order not to get sinus infection. I do personally not use any of the products you listed here, i still use my grandmother system. A chopped onion rested in honey during the day and then live it close to my bed all night, the morning after drinking the juice and do a nice steaming with some eucalyptus leafs. I am sure your products are effective, i am not saying my way is better, it’s just works for me perfectly. It is good to know all the options, don’t you agree? Absolutely agree with you that we must take care of ourselves and watch out any sinus infection. I as a pharmacist believe in the natural and alternative path as well. Having said that, I am glad your grandmother’s system is helping to keep your sinusitis at bay. I have heard of this remedy, but have not tried it. Perhaps, I will it a go. Thank you very much for sharing. 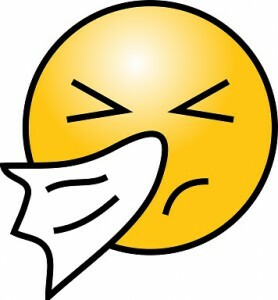 Hi Roopesh, I usually “treat” a short-term sinusitis with salty water – I sniff it and eventually I can breath again. Is this ok to do (because i’m more into natural remedies) or would you recommend something else? However, this is a very thorough and easy to understand article..I’ve learnt from it 🙂 Thank you! As I mentioned to Andrea, as a pharmacist and personally, I like to go the natural route first. It’s only in absolute necessary cases, whereby I have no choice but to then opt for taking medication. Yes, rinsing with saline solution is absolutely fine. Perhaps check out my review of the Neti pot. It may help you with doing this a lot easier. Glad you understood my article and took something home from it. May you have a great 2016 year ahead. My ENT doctor recommends making your own nasal spray with Himalayan salt which is a very pure salt with no additives or persevatives. The OTC saline sprays contain additives and preservatives which might also be allergens. All I do is put purified/clean water in an empty nasal plastic bottle sprayer that you can lift off the nozzle. Add a few grains of the salt, shake well and let the solution sit for some time. Adjust the salt amount to suit your needs. Himalayan salt is a pink salt. I get it at Marcs for a few dollars. No need to add baking powder or any other ingredients that people say online. Its cheap enough to make daily. Moreover, adding other stuff that would defeat the purpose of making a pure saline solution. I believe part of my problem was the additives/preservatives put in the OTC saline sprays. If your mucus is thick, Guaifenesin (the active ingredient in Mucinex) which is an expectorant, can be found in generic form very cheaply. A bottle of 15 pills costs about a $1 at Walmart. Do some price checking to find deals with larger amounts. Guaifenesin has virtually no side effects and toxicity to large amounts is extremely rare. Essentially, it liquifies THICK secretions by decreasing the viscosity, thus making it easier to “expectorate”, blow out and cough up. Largely used for dry non productive coughing due to thick mucus in the lungs. But works the same way for thick secretions in any mucus membranes, including Eustachian tubes (which is what I use it for) and sinuses clogged with thick and stuck mucus. Works like dish soap liquifies oil by reducing surface tension; it is essentially a surfactant. You should drink lots of water to make the drug more effective. I believe Guaifenesin was a prescription drug decades ago, 60’s/70’s. It is probably one of the safest drugs one can take in large dosages. I take 400mg every 2-4 hours with plenty of water-when I have thick mucus or clogged Eustachian tubes. OTC cold products have traditionally put a combination of a decongestant, an antihistamine, a cough suppressant and an expectorant with pain relievers, as that is what drove the market. People expected it as it was usual and customary. But not really resonable or realistic in many cases. Each drug is specific for one symptom. Only use the generic form for your specific symptoms. Because the drug companies have realized the general public is becoming aware of what I’m telling you. The specific OTC meds for your symptoms are now being sold separately. I’m a retired Certified Respiratory Therapist and Certified Pulmonary Function Technologist. Perhaps, some will benefit from my information and experience. Thank you so very much for sharing such valuable information with us.I really appreciate it and I am sure that the readers will find it helpful. People who struggle from sinus problem knows how much of a hassle it is. I never figured out what’s causing it and I thought it was just seasonal allergy, but then I’ve been having more issue with it a couple of months ago and I was considering seeing a doctor. I thought I had to live with allergy meds the rest of my life. Then about a month ago I started feeling okay without meds. So I’m still clueless on what’s going on with my nose. But anyways yeah it does affect my eyes and ears as well. I have more build up of earwax. Things like season changes can cause allergies. But your home environment, the food that you eat, sometimes even the cosmetics that you apply may also cause you to have an allergic reaction. The fact that your allergy went away means that it is a trigger that you somehow got rid of. The trick here, is to use a trial and error method of eliminating things from your life and see if the allergy goes away. It is painstaking, but once you find the culprit, you will feel better. Another consideration is to have an allergy blood test done. It may be a bit pricey, but it is something to consider. My wife has been dealing with this exact problem for a number of years. It hasn’t been constant fortunately but sometimes it does get bad. We hadn’t thought it may be connected to sinus’s. But it likely is because she also gets sinus infections from time to time. I will share your post as I think it may be of some help to me personally and others as well. It can very well be a possibility that sinus infection to some degree may be cause of the problem. Look, it does not hurt to try some of the stuff that I mentioned and see what happens. I have had a patient that came into the pharmacy and tried everything. I recommended he get a script from a doctor for some antibiotics and cortisone tablets. It actually helped him a lot. Thanks for sharing this post, I humbly appreciate it. Should there be anything else that I may of assistance with, do let me know. All of the best to you and yours. Hello Roopesh. I am honestly overwhelmed with the scientific terms but thanks for your simplifying explanations. Looks to me there are many ways of treating the inflammation and to battle the compression/pressure which cause adverse effect on muscles. I like the fact that there are other benefits you include besides the effectiveness in treating the sickness like the durability of the item. Great stuff! Please let me know if there is something that is not clear to you, I would be more than happy to explain it to you again or no matter how long it takes. Yes, our body is remarkable and certainly responds differently to different treatments and therapies. As with sinusitis, I have learnt that the same applies to tinnitus.Some things tend to work better than others and I have shared them with everyone on this website. Thanks for the positive words and please do stop by again. I am so glad I found this page! I have the worst sinuses. Any cold that comes along will head straight to my sinuses causing inflammation and pain. I guess where I’m going with this is, the last time I used a neti-pot, the water never came out. After that I have had trouble with my right ear (pain, feeling blocked, drainage…) Is this common? What would you suggest I try? Over the counter medication please, as when I went to a nose specialist, he said to come back when there is bleeding! Sorry to hear about your sinuses. It can certainly be a bothersome. Sometimes, you can get issues with blocked water within the sinus cavity after having used a neti-pot. If you still are having trouble with the ear pain, then I would get it checked out, just to make sure that all is fine. If you would like to try over the counter stuff, I would try an oral decongestant with a steroid nasal spray. I hope that it will not get to the point of bleeding. This is very heldfull indeed. You are very welcome, Lydia. Got a bad sinus infection couple weeks ago. My first time. Went to doc. Gave me Prednisone. Amoxillin Zyrtec. Nasal spray and codeine cough medicine. No more pain in my face but I have been left with buzzing. Ringing in head and ears. What to do?? Hi Isabelle, sorry to hear about your infection.I think that your ringing may be a possible side effect of the medication. I would wait until the Prednisone course is complete. If the ringing is still there, I would get it checked out. I do also have clogged ears and wondered if this is the cause and how I can unblock them? I am trying everything from steam, warm compress, ear ‘popping’ and nothing is working! I hope and pray that it will go away. I know the ringing is frustrating and I don’t wish for anyone to have to suffer from it.Regarding the clogged ears, if there is no pus or anything of that sort coming out I would go for something like Waxsol or Cerumol. Let me know if there is anything else that I could assist you with. Melanie, your symptoms are identical to mine. Christmas weekend I felt terrible, almost flu like. I took Tylenol for pain, ran a low fever and generally felt bad through the holidays. During the week, I kept feeling pain, sometimes stabbing, in my right ear. The Wednesday night after New Years I was watching TV and the Tinnitus began. I honestly thought it was the television! After several days, I went to my Dr. He said my ear was red and he suspected an inner ear infection. He gave me a Z pack and Flonase and sent me home. He told me if it didn’t improve he would send me to an ENT. A week passed. I started feeling better but the ringing continued. I tried olive oil, alcohol, apple cider vinegar, hot steamy showers, Neti pot, and a heating pad. NOTHING worked. Also when I tap the side of my head it sounds like it does after you get water in your ear. It did seem like the Neti pot caused the ringing to subside immediately after using it. I went to the ENT who basically said you have Tinnitus and there is nothing we can do. I was in shock! I couldn’t believe a sinus infection/ear infection could cause permanent damage within a couple weeks! One note, some mornings the ringing is nearly gone but by lunch time it starts and by evening it’s annoying. Yesterday marked 3 solid weeks for me. I sure hope this isn’t permanent. I’m still using Flonase and the Neti pot. Please keep me updated! I have the exact same symptoms as you. Sinus and chest infection, was prescribed a Z-Pack by my doctor. The Pulsatile Tinnitus just started about 3 weeks ago. Had my Coratid arteries checked, all good. Looking for answers? Thanks for stopping by.Its so hard to give an exact answer on what to do. Perhaps if the could prescribe some corticosteroids along with with some antihistamines. Give that a go. Just around the new year I contracted a bacterial infection and sinusitis. I had extreme pressure and was put on liquid codeine and a heavy antibiotic. Two days to taking the medication the ringing started. I have gone through two doses of antibiotics and although I feel better I still have minor pain and pressure in my ears. I’m only taking avamys at this point but the ringing has now been ongoing for 2 months approximately. Do you think once I’m back to 100% the ringing will go away. My doctor believes the ringing started with the antibiotics. It certainly is possible that the antibiotics may have caused the tinnitus.Its hard to say whether or not the tinnitus will go away once you feel much more better.I certainly will pray and hope that it does go away. Avamys is a cortisone and has anti-inflammatory properties and should bring your sinus congestion down. I know that it may be a long shot, but perhaps consider taking an antihistamine along with the spray.Let me know how it goes. I think that the possibility can certainly exist. Remember sinusitis, if it gets very severe can potentially affect the fluid imbalance in the inner ear. As a result, one can get a vertigo attack. First mine started with an ear infection, blocked up left ear. Then it went to my sinuses. Tried everything… finally made my special smoothie that I learned about when I was having leg problems. Works wonders on the inflammation, which is what I found out is going on in my sinuses. Finally this smoothie is helping me big time. 1 green apple, handful of cilantro, 4 big slices of fresh ginger, handful of kale, handful of spinach, squeeze some lemon in it, 4 stalks of celery..blend it up. Drink hour after you eat breakfast…then before dinner.. make another one, wait an hour and eat dinner. Stay away from greasy foods, dairy, wheat. Eat more anti-inflammatory foods.. you will feel it easing up after the first day. 🙂 blessup! That is very interesting to hear. I am going to give that smoothie concoction of yours a go.Will let you know how it goes. so i have had sinus infections problem for years. The past year has been worse. Constant drainage from nose. Feeling really sick and ill, not sure if this is the drainage going down stomach or the ringing in my ear by being blocked ( that itself is driving me around the wall) I wondered if my ears are blocked, it is that, causing me to feel sick, if it creates unbalance, but i dont get badly dizzy, so not sure if the sickness can still happen without the sense of dizziness. Going to see ear nose throat specialist next week as i have felt awful for months. The ringing in the ears is so bad and the infection i get in my sinuses just makes it worse. Tried everything and nothing working at moment. So sorry to hear about your situation. You do not necessarily have to get vertigo to have felt the sensation of fullness in your ears. I feel that sensation so often, yet the dizziness does stay at bay(thank god). Anyway, I will be praying for you and hope that it goes all well at the ENT. Are you referring to your migraine? It is possible that severe sinus congestion can bring about a migraine attack. Did the doctor do a blood test, to confirm a viral infection? Furthermore, were you put on any decongestants? Have had blocked sinuses for a week but also had minor head trauma, the GP said the x-ray showed my sinuses were not blocked?? But the tinnitus is ongoing & driving me mad at night. I have had a week of steroids & don’t know what to do next! Did you doctor check if you a viral infection?Find out about this. Are you feeling dizzy or nauseous? Great information on here, Roopesh. Thank you. I’ve had chronic sinus issues for years. My ENT says my sinuses are wrecked from multiple surgeries prior to seeing him. Three months ago I had two weeks of blocked ears and dizziness for which no specific remedy was offered, other than antibiotics x2 ( Rulide). During that time I woke one morning with ‘distorted hearing’ in left ear. Audiology exams show a damaged ear nerve that apparently I’m supposed to live with. It seems to be accompanied by what I’m learning online is Hyperacusis and Diplacusis ( both in left ear only). When I bend down I’m aware of Pulsatile Tinnitus in my right ear. Two of these extraneous issues seem a little better since I was prescribed with Prednisolone ( tapering). But my quality of life has deteriorated considerably and I can’t help wonder how much of my trauma is due to meds or ‘lack of them’ in dealing with the blocked ears, that may well have been blocked Eustachian tubes which I’ve since managed to improve greatly through online advice on ‘manoeuvres’, sinus rinses etc.